We educate and empower youth and adults through nutrition and physical activity programs while influencing policy changes for healthier communities. For the past 12 years, FLIPANY has brought customized health and wellness programming to more than 400 partner sites in Palm Beach, Broward, and Miami-Dade Counties. Our innovative programs fight childhood obesity and hunger by focusing on healthy food preparation, food security, physical education and work-site wellness. FLIPANY’s programming includes Physical Activity, Soccer, Biking, Nutrition and Cooking Education, and USDA Afterschool and Summer Meal Programs. 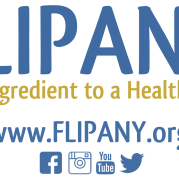 Lynne and FLIPANY’s Board of Directors are committed to increasing FLIPANY’s outreach and impact by 30% over the next 3 years-We need your help! Would you recommend FLORIDA INTRODUCES PHYSICAL ACTIVITY AND NUTRITION TO YOUTH?